"We want our dot nyc"
The concept that there should be a 'dot nyc' was originally launched some years ago by a Community Board in Jackson Heights. Tom Lowenhaupt, a member of that board, gave the idea a good run around the city's civic hallways without much result. 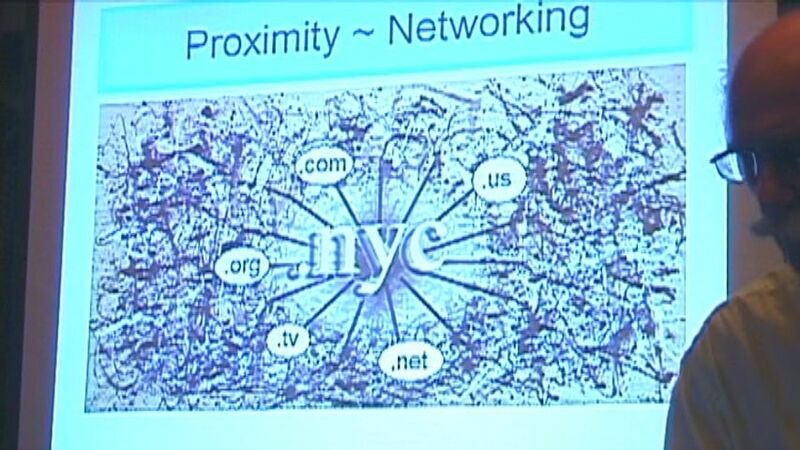 However, recently, with Berlin and Paris also pursuing their own city top level domain plans, and ICANN slowly but surely opening the gates to more 'generic' TLD's, it now looks to be a practical possibility. Tom has led the formation of a non-profit 'Connecting .nyc' to actually acquire the rights and operate the domain. The three cities plan a co-ordinated effort at the forthcoming June ICANN meet in Paris to get the ball truly rolling. Before his departure Tom gave ISOC-NY a full background presentation and took questions on the nitty gritty details. He envisualizes a community-managed registry that is a departure from anything seen hitherto. 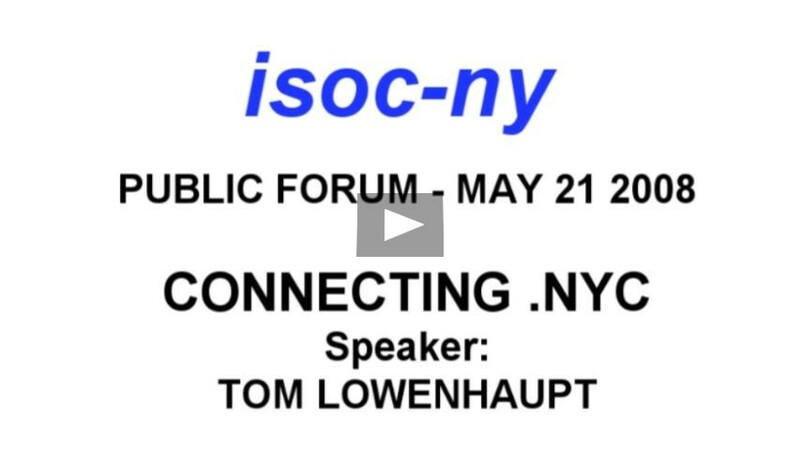 Educators may obtain a free DVD copy of this event from ISOC-NY. Email dvd@isoc-ny.org and ask for DVD1352. .